Why our BroadWeigh™ Wireless System? At the heart of BroadWeigh is a powerful wireless telemetry technology which provides high quality remote readings, often in harsh environments, to record and transmit data. Built around our own custom proprietary communications protocol, the technology provides secure and high integrity digital data transmission. With direct line of sight of up to 800 m (1/2 mile) which can be extended with the use of an active repeater. The pre-calibrated BroadWeigh Wind Speed Sensor BW-WSS) anemometer provides both real-time display and full logging of wind speeds. With user definable sampling rates and easy wireless installation this anemometer makes an ideal choice for general wind speed monitoring and action planning for outdoor events. double range – in line of sight applications. After using the BroadWeigh system in one of our shows I would recommend it to any of my colleagues in the entertainment industry. Bogdan Lewko, Technical Director, Holiday On Ice Productions b.v. The ease of use of the BroadWeigh system, the speed at which it can be implemented and cost/value means it is both the best and the safest option for us. I would gladly recommend this system for any venue that is concerned with rigging overloads or incoming tours damaging the existing roof structures. 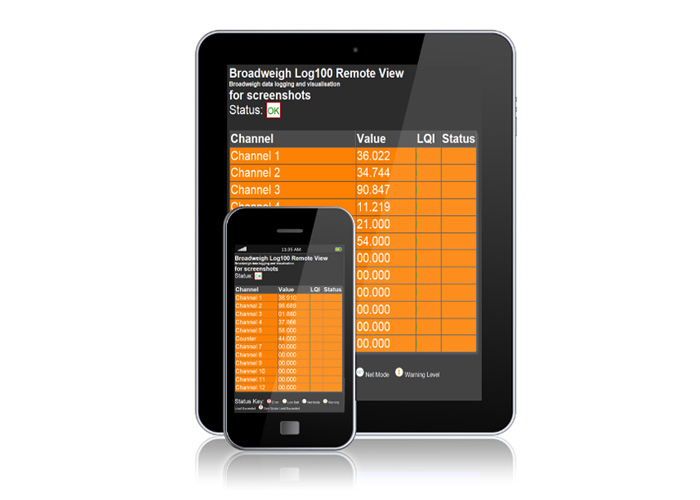 BroadWeigh offers the best balance of all-weather wireless load data with the best front-end interface. Load measurements are easily managed but with many options for the advanced user. The options and parameters mean a custom system can be set up to suit the application. Simple shackle installation without on/off switches means fast setup times that don’t interrupt the production load in or rigging process. 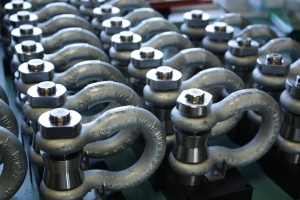 The shackle based design is now the standard and other manufacturers are following suit. The optional wind speed sensor shows this system is the best choice for outdoor staging applications and the price per operational channel means it is the most economical wireless system available. It is cheaper than some wired systems too! The base stations handle up to 100 cells and are fully interchangeable. Cross and sub rentals are easy and cheaper. Splitting a system up doesn’t cost and arm and a leg and the 3.25T and 4.75T ratings mean you are not so limited in capacity. Having distributed the BroadWeigh brand from it’s early days I have seen the product range grow and the demand for load monitoring increase. AC-ET are proud to support a British company with a great product and a determination to push the boundaries. The support from Mantracourt staff has been outstanding whether it be re-writing software for a foreign customer in difficulty with an install, or technical back-up at a moments notice, they have been there for us. The product is second to none and the addition of accessories, coupled with modifications to the range after customer feedback has been encouraging to say the least. The brand was based around the 3.25T and 4.75T wireless load monitoring shackle, however the BroadWeigh system now encompasses Wind Speed sensors, relay trigger modules, GPRS network adapters (for wireless data transfer offsite), repeater modules (to extend the 200m range) and a software monitoring program, that can all be adapted from the smallest to the largest needs of an installation. I have no doubt that BroadWeigh is leading the way in wireless load monitoring and am excited at the prospects for the future in this field.